Working with kids has an obvious appeal. Those funny, inspiring and exciting little learners are certainly a handful, but their infectious enthusiasm is also as good of a reason as any to come into work every day with a smile. 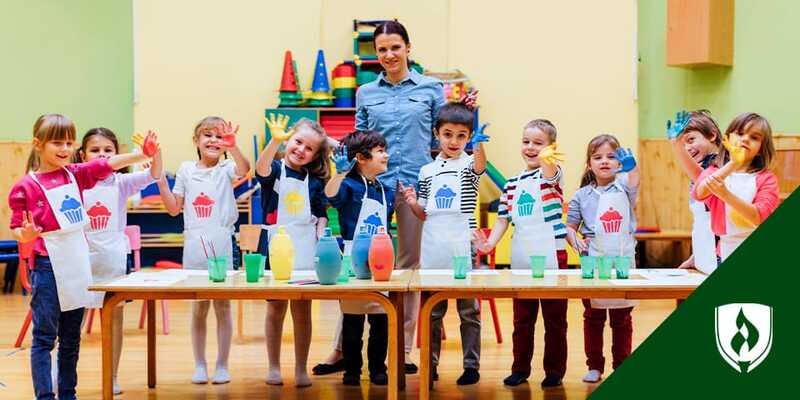 If you’ve got an inherent passion and ability to connect with young children, then you might be wondering if a career in early childhood education is right for you. While you love the idea of helping give kids the best possible start in life, you’re also probably curious about what you can do with a degree in Early Childhood Education (ECE). Keep reading to learn more about the variety of early childhood education careers a degree could lead to, and get a taste of what's included in an ECE degree program. 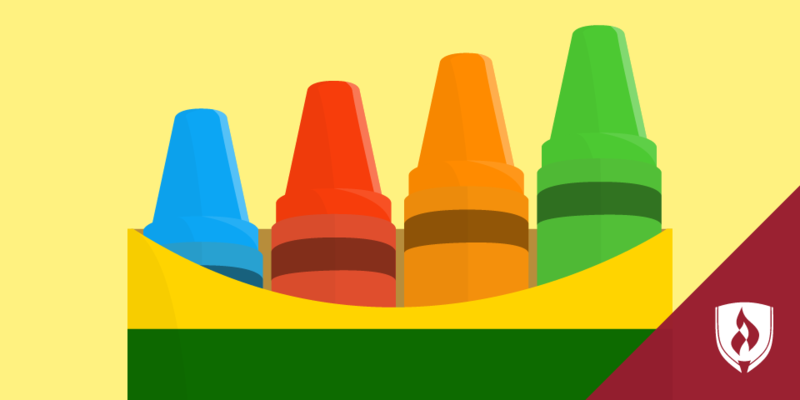 What can you expect from an Early Childhood Education degree program? Before enrolling in any program, you want to know what you’re going to get out of it. A degree in this field will provide you with the building blocks for ECE principles, while furthering your leadership and administrative skills. Not only will you be prepared to help develop young children, but you’ll also gain business know-how and advocacy fundamentals as well. Many ECE programs allow you to complete your degree online, which makes for an even easier transition into the career of your dreams. The knowledge and training you acquire will prepare you for a variety of different careers, depending on what you’re seeking. Preschool teachers are some of the first people to truly have an impact on a child’s life. These professionals care for and educate young children–typically ages three to five–and help them develop the foundations that will accompany them to their elementary years and beyond. Preschool teachers teach a variety of subjects including math, science, writing, art and more. They can work in both public and private schools and often work in childcare centers or other organizations as well. Teacher assistants in early childhood education aid ECE teachers by reinforcing lessons, enforcing classrooms rules, helping teachers prepare materials and assisting with anything else a teacher might need. While the lead teacher generally presents the lessons to the class, the teacher assistant can aid small groups or individual students who have more questions during work time. Teacher assistants may also help with grading tests or checking over homework. Childcare center directors also work with children, but in a more of a hands-off capacity. They assume a managerial role in overseeing the entire childcare center. This includes supervising childcare workers and preschool teachers, establishing and enforcing policies and handling any higher-level issues with children, facilities, staff or budgets. 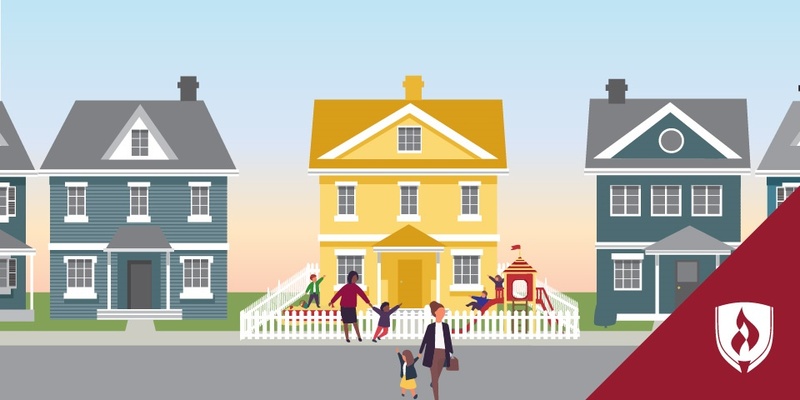 Some childcare centers are independently owned and operated, while others are part of a national chain. Childcare workers work on the front lines in childcare centers. They directly care for the children, prepare meals and snacks, change diapers, organize activities and maintain schedules and routines to ensure the center operates smoothly. This particular position is very hands on and allows workers to get a firsthand look at charting children’s progress and development, as well as introducing them to basic fundamentals. 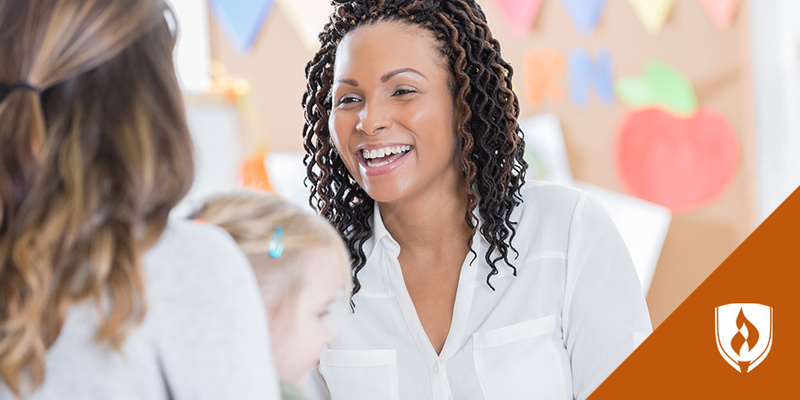 Childcare workers may provide care as part of a before- or after-school programs or in a full-time childcare center. Special education teachers have a deep level of compassion and patience and find joy in working with students who have a wide range of learning, emotional, mental and physical disabilities. These teachers assess students’ abilities to map out an educational plan and adapt lessons to meet the needs of students. They must also work with the parents and teachers of disabled students to make sure their learning environment is helpful and safe for them. Special education teachers may work one-on-one with students or with several students in a classroom. English Language Learner (ELL) teachers assist students in strengthening their understanding of the English language. They help students learn English while integrating that knowledge into other lessons to reinforce student learning. These teachers will help students “learn how to learn” in English and keep an eye out for potential learning disabilities. Nannies are very similar to childcare workers in that they are solely focused on caring for kids. The biggest difference, however, is that a nanny will generally work with the children of an individual family in their own home. A nanny helps care for kids while their parents are at work and will assume many of the same responsibilities that a parent would: driving kids to activities, preparing meals, planning activities and more. While an ECE degree isn’t necessarily required to find employment as a nanny, it can certainly make you a more desirable candidate to families seeking quality care for their little ones. What will you do with your Early Childhood Education degree? Now that you know more about the potential career options available to ECE graduates, it’s clear you have several potential avenues for making a positive impact on the next generation of learners. It’s up to you to choose which path aligns best with your skills and interests. Regardless of which position you’re passionate about, it all starts with the proper training. Learn more about how Rasmussen College can help empower and prepare you to fulfill your purpose with an Early Childhood Education degree. EDITOR’S NOTE: This article was originally published in November 2013. It has since been updated to reflect information relevant to 2018. *Graduates of Early Childhood Education programs at Rasmussen College are not eligible for licensure as a teacher in an elementary or secondary school. A Bachelor’s degree and a state teaching license are typically required to work as a teacher in public and private school settings.